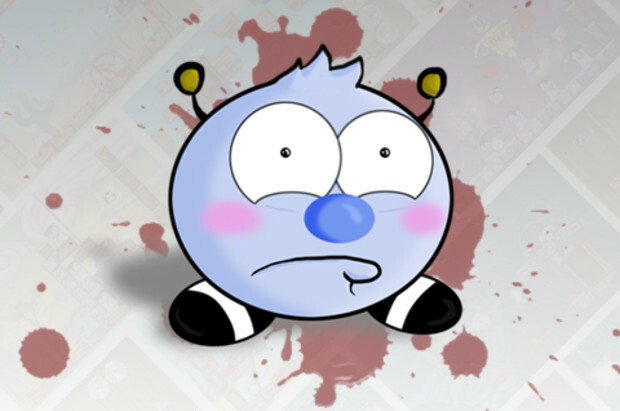 After being fairly impressed with the PC release of Alex Jordan�s Cute Things Dying Violently, and even having him watch as I played it on-stream, I thought I�d kick him a few questions to see what makes the man of a mass munchkin murderer tick. He agreed, and our exchange follows below, with my questions in bold and his responses in normal text. So, how long have you been working on games, be it making your own or contributing to others�? Or is this your first foray into development? I started making games in QBASIC when I was in elementary school. They were simple text-based games run on a 33mhz computer, but I got hooked early. I was a modder and mapper for various Half-Life and Half-Life 2 mods for a time before taking a break to work on my government career in DC. But I got back into game design with a vengeance in 2009 upon hearing about Xbox Live Community Games (now Xbox Live Indie Games). Any events, games, stories, or crazy dreams that pushed you to make and publish a game in the first place? Nothing in particular, although my childhood gaming experiences were predictable: Mario, Sonic, and Zelda left a huge impression on me. I just wanted to recreate the same level of joy I felt at playing those games, but with my own ideas. Although, I will say, I once made an entire map for Firearms for Half-Life based on a dream I had. I swear I�ve played something along these lines before, what with the flicking little guys into an elevator from the ground, though perhaps with less death. For all I know, I�m just thinking of the XBLIG version, but I was wondering if there are other titles out there along these lines that you expanded and improved upon, if only for reassurance that I�m not going mad or experiencing severe deja vu. 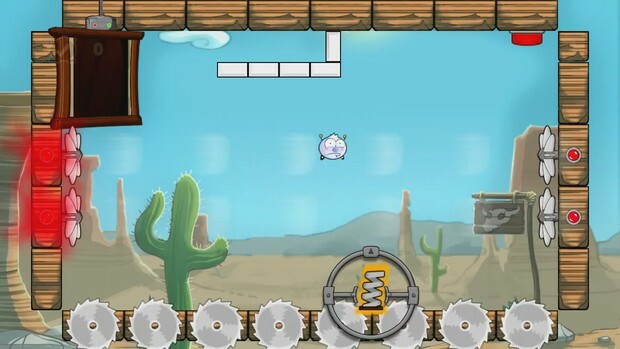 CTDV is most often compared to Angry Birds, Lemmings, and Super Meat Boy, but I hadn�t heard of or played any of those three before I started production. In fact, I very much wanted CTDV to be its own thing and accidentally stumbled onto these similarities. But since you brought up the elevator, I will say that I very much had World of Goo in mind when considering how to end levels and get the Critters out of them. Speaking of nods to other games, was the decision to make your characters adorable but foul-mouthed, and their fates particularly grisly, something that manifested on its own or an homage to games such as Raze�s Hell on the Xbox, or the more recent, half-baked Naughty Bear? Nope, definitely manifested on its own! Those voices and their, uh, vocabulary was the result of my own twisted brain, a microphone, and a six pack of beer. Recorded the dialog on the fly was some of the most fun I had making the game. It was also one of the last things I did� the game definitely felt like it was missing something up to that point, but when I got all the voices ingame, the whole thing just came together. Were there any levels or concepts that didn�t make the final cut, despite really wanting or trying to fit them into the game, or evolutionary turns taken during the development process by the levels that did make it? Any favorite stages in particular, be they standard or bonus? Any levels that didn�t make the final cut won�t be missed. None of them were puzzle-based and all of them were reflex-based, meaning they got the axe because they were too hard or too uninspired. As for my favorite levels, basically everything in Stage 4 (the Fire Stage) tickles my fancy. Since you stopped by my stream when I was showing off CTDV as part of the Indie Gala Mobile 2 bundle, what�s it like watching someone play your game? Anything like you expected, or experienced yourself during the development process? As a rule, it�s thrilling to watch someone play your game. However, I get infuriated - infuriated - when I see someone play my game who is too lazy to learn from their mistakes or read the tooltips. Watching someone get stuck in a level because they�re too stupid or indifferent to bother reading the hints I hand them on a silver platter just drives me crazy. Any plans for expanding upon Cute Things, be it via additional DLC levels, a sequel, or spin-offs, or do you have other things in the works already? I imagine it may be a bit early to stab at the former, so would you consider such continuation of CTDV as a franchise if it really takes off? I�m planning on doing a CTDV2, but aside from a few assorted ideas I haven�t actually done any real work on it. I�m kicking around the idea for another game which I plan on prototyping soon, but it�s way too early to say anything about it. Stay tuned! Do you play these sort of pick-up-and-play puzzlers on your own time, if you have free time, or are you into other kinds of games? Before I let you go, anything you�d like to plug, malign, tease, prophesy, promote, or otherwise discuss? If you haven�t bought Cute Things Dying Violently, I recommend you do so! It has pretty art, challenging puzzle-and-reflex gameplay, four letter words, and an angry bucket-headed robot. Plus, it�s only $3.00! Pretty much everything at Starbucks costs more than that. 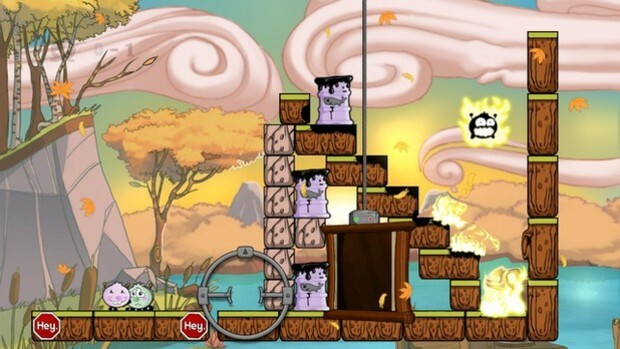 If you�d like to pick up Cute Things Dying Violently for yourself, you can pick it up for $2.99 on Desura, Indievania, or IndieCity, or find the original version on Xbox Live�s Indie Games section, if you�re more console-inclined. Alex Jordan�s blog/dev site is at ApathyWorks, and you can find him on twitter as @AlejandroDaJ. Best of luck to him in future gaming endeavors, and in finding time to work on them in the first place. Crossposted from my tumblr, where I usually keep my indie-focused material, but I thought some of you here might be interested as well. Just mentioning as much in case someone already saw it over there and is wondering who's plagiarising whom. It's all me.